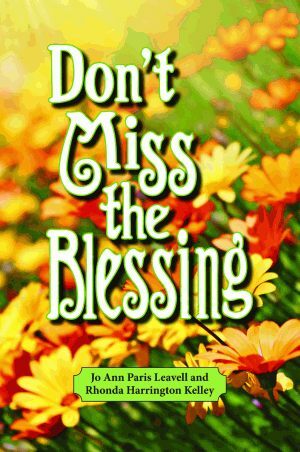 Recalling the rich experiences from her marriage to Dr. Landrum P. Leavell II, past president emeritus of New Orleans Baptist Theological Seminary, Jo Ann Paris Leavell provides a guide for Christian women, particularly ministers’ wives. She discusses such topics as family and finances, while emphasizing the importance of communication and daily worship. With optimism apparent on each page, Leavell encourages women to use their God-given gifts to shape a positive self-image and achieve their goals of spiritual growth. Although she has pursued an active ministry of her own through teaching, speaking, and writing, Jo Ann Paris Leavell conducted family life conferences with her late husband while lecturing at retreats, luncheons, and conventions around the country. She once served as the president of the Ministers’ Wives of the Southern Baptist Convention and twice acted as chairman of Lord, Change Me, an interdenominational conference for today’s women. Leavell is the recipient of the Mrs. J. M. Dawson Award for distinguished ministers’ wives. Also the author of Pelican’s Joy in the Journey and Baptist Dishes Worth Blessing, she lives in Wichita Falls, Texas. Rhonda Harrington Kelley is the director of the women’s ministry program at the New Orleans Baptist Theological Seminary. In addition to writing extensively on such subjects as spiritual discipline and biblical womanhood, Kelley is the former host of “A Word for Women” on WBSN radio, where she interviewed leading Christian personalities on contemporary issues facing women today. She is also involved in Innovative Evangelism, which she formed with her husband Chuck Kelley, the president of New Orleans Baptist Theological Seminary. She is the author of Pelican’s Divine Discipline: How to Develop and Maintain Self-Control. Kelley lives in New Orleans, Louisiana.